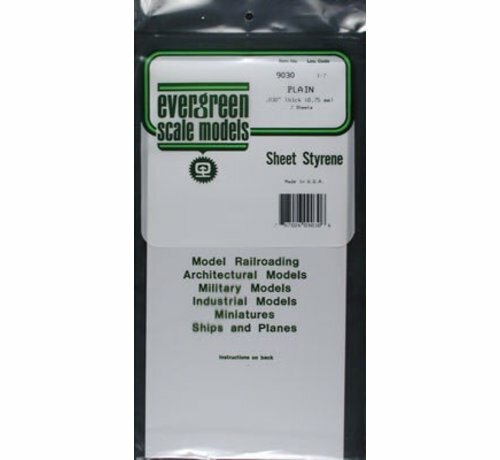 FEATURES: Great for many scratch modeling needs: -Model Railroading -Architectural Models -Military Models -Industrial Models -Miniatures -Ships and Planes This white styrene sheet may be bonded and painted. A wood grain appearance my be created easily. Nearly any type of weathering can be applied to a painted styrene surface. Sturdy and durable. 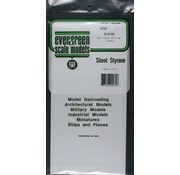 User friendly, economical, and high quality styrene enhances scratch model building techniques. A wood grain appearance my be created easily. 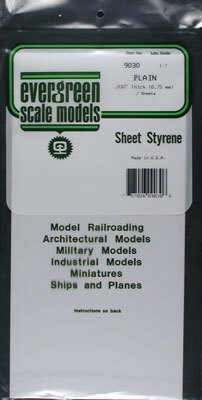 Nearly any type of weathering can be applied to a painted styrene surface.